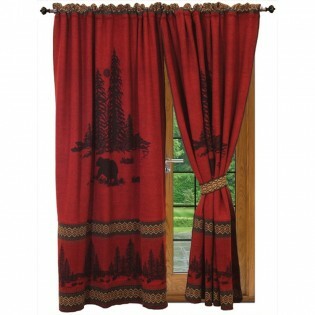 Pair of River Bear Drapes are rod pocket draperies with a black bear and pine tree design set against a red background with a colorful geometric border. 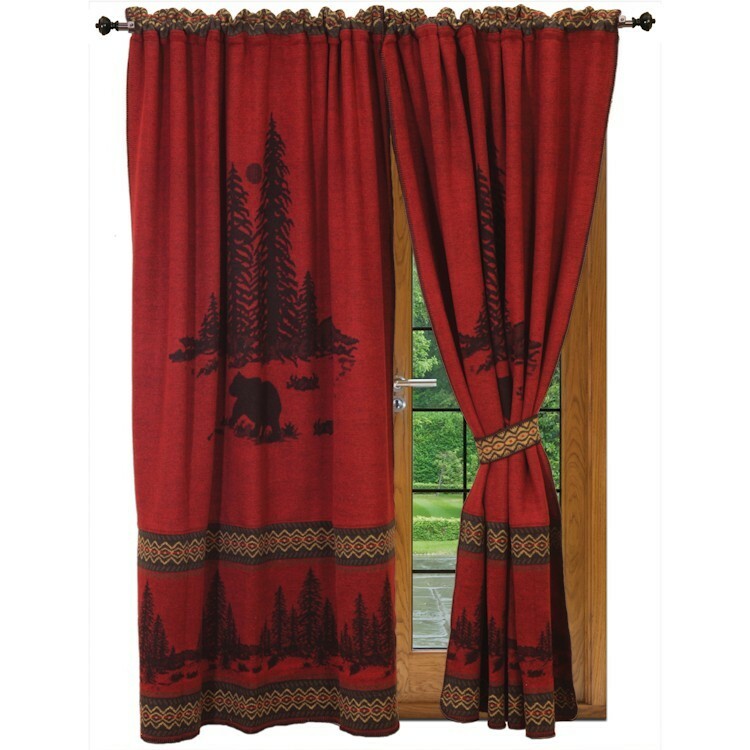 These bear draperies will add a rustic theme to your home. Bottom is finished with decorative blanket stitch rather than a traditional hem.